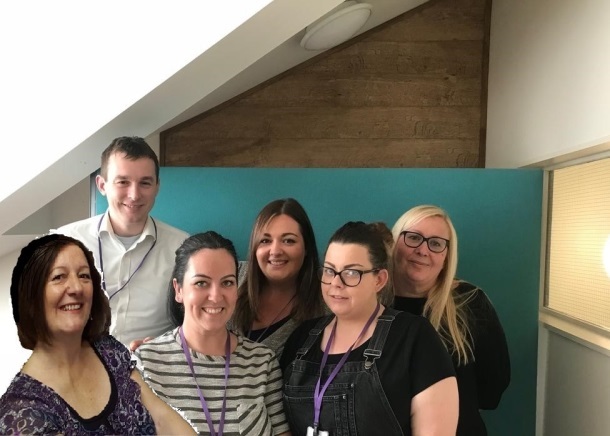 A project team was established to deliver a new housing management system with a focus on transforming service delivery for our customers and improving the user journey for our staff. We knew the scale and time frame for the project was ambitious with one of our biggest challenges being getting buy in from staff. Due to our dispersed offices it was a logistical challenge to involve colleagues. In the past we have held events where all staff needed to travel to one location taking them away from their jobs, costing time, money and reducing the service to our customers. As a digital project we decided to use technology to tackle this problem. As a change from the usual ‘beauty parade’ of tender respondents, we used Skype for Business to run over 70 demonstrations online. It was vital that staff were given the time to attend the demonstrations as this made up 5% of the scoring towards the bid and the engagement from staff at all levels of the business was priceless. Using technology, planning, passion and enthusiasm we managed 72 demonstrations across 8 working days to ensure that staff had the opportunity to attend sessions within their specific field and contribute to the selection of our new system provider. We turned a potential logistical nightmare into a success. The geography of our organisation has staff split across five offices in three local authority areas. The approach we took ensured we had the right colleagues in the appropriate sessions, increasing engagement (415 staff) and delivering significant cost savings through the use of Skype. We calculated that it saved our staff almost 20,000 miles in travel, equating to approximately £9,000 of potential mileage claims and around 90 days of lost hours spent on motorways. In terms of our carbon foot print, we made an estimated saving of 7.8 tons of CO2 emissions. Furthermore, we were quoted over £15,000 to have a suitable venue for the 8-day period, so obviously the use of Skype meant that we didn’t need to consider that option. Staff were able to leave their desk, go to their nearest meeting room and take part in the session. An additional benefit has been that staff who were involved who hadn’t used Skype before have continued to champion its use in their own roles, increasing general uptake of Skype across the organisation, resulting in ongoing time and cost savings as well as greater collaboration. • Ensure that the sound quality is good, particularly for larger groups. • Plan and prepare, the team had support on hand from IT to deal with any issues. • Have an agenda and stick to it – with an opportunity for questions at the end of each item. Our key learning was the importance of the sound quality. We used portable speakers to enhance the volume and the presenter needed to be close to the speaker for clarity of sound. On occasions we lost the sound and questions and answers needed to be repeated and clarified to make the process fair. For organisations considering using Skype, it may be worth investing in surround sound equipment. Having key project team members at each site is crucial for the communication to flow and give both sites the same opportunities to engage. It is essential that the suppliers have access to Skype for Business and are set up as external contacts within the software. To reduce the risk of any issues on the demonstration day, it’s worthwhile to complete a test run with the suppliers to ensure that connectivity is of a good standard for the demonstration to take place successfully, as planned. This was a new concept for all involved as we hadn’t used Skype on this scale previously but it paid off. The impact of the procurement on the business was greatly reduced and levels of customer service were unaffected. Staff were able to be involved with minimal impact on their work. The project team embraced the use of Skype and while we were nervous, the subsequent take up of Skype for meetings has justified our approach and provided ongoing benefit to the business. We are now more accepting of digital solutions and have built staff confidence. We are hopeful it will also build confidence in our team’s ability to deliver. There was significant risk of using Skype due to the scale and importance of the project. However, through careful planning, we successfully accomplished our objectives; running 72 demonstrations over 8 days. We also wrote an article for the Housing Technology magazine, it can be found by following this link https://www.housing-technology.com/ and finding issue number 64. Charles Brooks, 3Cs Consulting Director says ‘Plus Dane Housing with Project TED have demonstrated the value of Skype for Business through the successful delivery of supplier presentations. They have ”debunk the myth“ that everybody needs to be in the same room as the supplier which has enabled significant savings to be realised through reduced travel and overall expenditure’.